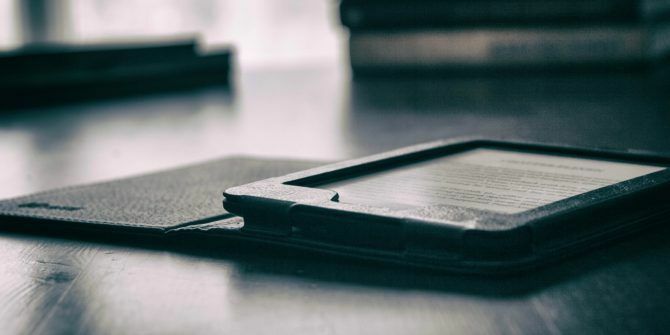 Thanks to the Kindle, reading can be a social experience now Can Reading Be A Social Experience? Can Reading Be A Social Experience? Reading has a reputation for being an isolated activity. We often think of people in their pajamas or bathrobe, sunk into a massive armchair in front of a roaring fire, with a mug of hot... Read More . You can boost your social credit by sharing your Kindle notes and highlights with friends, and often a timely quote of wisdom shared can be a shot of insight. Today, this process of sharing has never been easier: it’s a one-tap process. Your notes and highlights are the digital equivalents of scrawled margin notes and underlined passages. The right quote tells your friends that they this book is worth a read. But first, you have to link your Goodreads account to your Amazon account. Sign in to Goodreads.com and go to the Account Settings page. Scroll down to the Amazon section and connect the account. Set the book to “Currently Reading” or “Read” on a Goodreads.com shelf. You can also add it to a shelf from the Kindle. Open the book > Tap the three vertical dots on the menu > About this Book. Read the book and add highlight and add notes to interesting passages. The notes and highlights you make will be synced to Goodreads.com — only you can see it. Sign in to Goodreads.com. Go to My Books > Kindle Notes and Highlights (under Your reading activity). Click on the book you want to share from. Now, you can share any of your notes and highlights by switching them to “Visible“. Add your own note before you share it. Keep in mind that highlights and notes you make visible are made available for friends and anyone who has access to your Goodreads profile. The notes and highlights are also limited to books purchased from Amazon and do not extend to personal documents. You can share notes and highlights directly from Kindle too. Goodreads is a social network build around your reading. When you are on the desktop, you can start a discussion around the selective highlights and notes you share. Have you benefitted from this feature? Should the shares be about all kinds of books and not ebooks alone? Explore more about: Amazon Kindle, Goodreads.